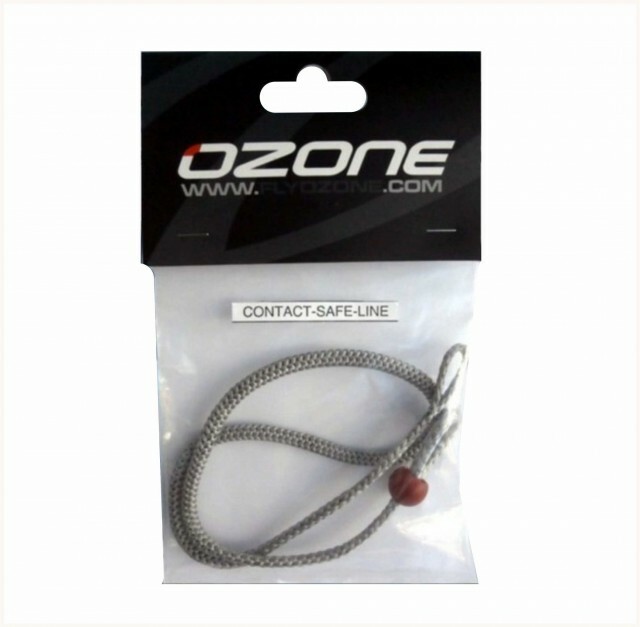 A safety flag out line for the Ozone Contact bar 2011, 2012 and 2013 models. The safety flag out line is the one you clip your safety leash too. It has a loop that sits on the chicken loop swivel, goes through the bar and attaches to one front line through the stainless trimmer bracket. 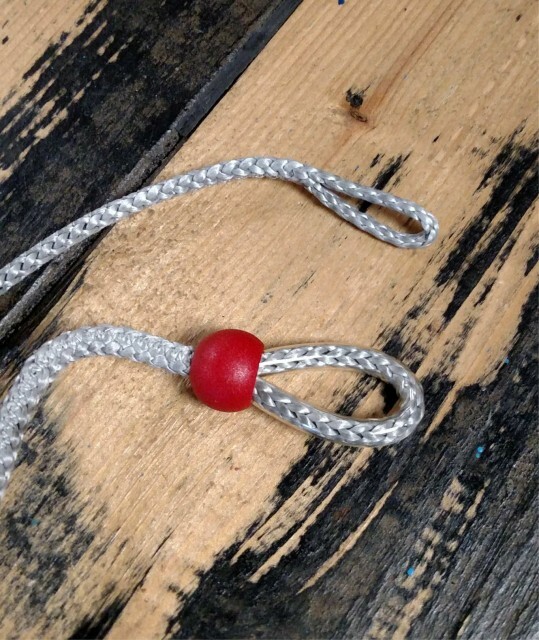 The safety flag out line is a total of 61cm un stretched and has a large bungee section within it. 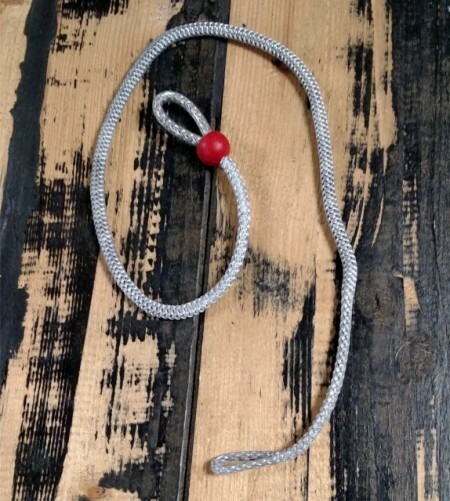 It has a formed loop and red ball one end that your safety clips into and a formed loop the other that fits onto a front line. Easy to change. Note:- change your safety line as soon as you see any wear to it.